Chinese multinational computer technology company, Lenovo revealed a budget friendly smartphone at CES. The new phone called Lenovo A6000, it features Snapdragon 410 processor, 5-inch HD display and dual 4G LTE connectivity. The device display has a resolution of 1280 x 720 pixel with 294ppi. Powered by a 64-bit Qualcomm Snapdragon 410 processor with Adreno 306 GPU and 1GB of RAM. 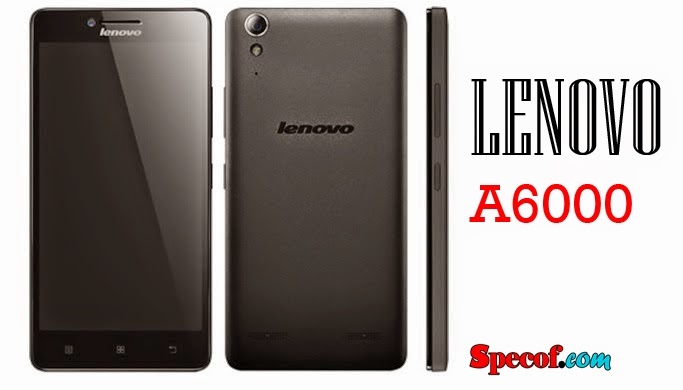 When it comes on storage, Lenovo A6000 have 8GB internal memory that expandable upto 32GB via micro SD card. Measuring 141 x 70 x 8.2 milimeter, the device has 2 micro sim slot. For under $170 price tag, Android 4.4 KitKat with Lenovo VIBE UI 2.0 and 2300 mAh battery are also included.